The face in the video has that "What was I thinking of?!!!!!!!" quality. He really could have done a fine Christmas record, but everything turned into mush it seems - Kind of like the cool kid you knew meeting his grandmother and having to wear a suit for a day with that all too obvious fake grin. Still, you know how these things go, established singers usually go for that career move, and usually in a more neutered way than expected. I remember this, truly awful and not in a funny way . 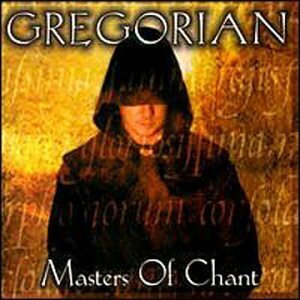 And now that you reminded me I can't get it out of my head, especially this Losing My Religion cover. Eww! 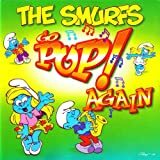 Over where I'm at, very few have been subjected to Smurf-Pop, and I for one am seriously happy about it. One of the best moves Noel Gallagher made was to reject them from touching "Wonderwall." The Smurfs have their own mountain of crap, and it should not contaminate the rest of the world of music good, bad, or indifferent. NOOOOOOOOOOOO NOT AUTOBAHN! What's with people and making this song three minutes long? IT'S TWENTY MINUTES LONG YOU BASTARDS. now, somebody do one on Mini Pop Kids albums. Seriously, who buys those? Last edited by Dayvan Cowboy; 12-18-2010 at 11:25 AM. A million English teachers just rolled over in their graves. Robot Science...I have wasted a couple of minutes of my life on that one, and I know I will never get them back. Still, I heard it and decided that they were way too late for only thing that would be perfect for them, making music to the early Video Game systems. The tools may be updated, but the sound is seriously stuck with the Commodore 64. 8 Bit may be cute and all to some, especially to those who have just picked up some program and made some noises with it, but to others, it's damn annoying - ESPECIALLY then the music features two chords and a cheesy melody that goes nowhere repeated over and over at different BPMs. As for the other clip, VHS Head may have possibly named themselves after a main influence in their sound, but it's just as anonymous as all of the Electro 80's B-Flick soundtracks I have suffered through with samples. The good thing is that they will be pretty much forgotten in quick time. The bad thing is that they are still taking up valuable Web Space. I also checked out the Math Metal rant, but at least there's some creativity that has a slight possibility of moving to the next step, and that's seriously far more than what I can say about the Chip Sounds.